One of the foremost violinists and conductors of Brazil, Dr. Alexander Mandl maintains an active and diverse career as soloist, conductor, educator, chamber and orchestra musician. A versatile artist, Mandl appeared internationally at renowned halls, including Alice Tully, Weill Hall at Carnegie Hall, Carnegie Music Hall, Sprague Hall, the Mellon Institute, the Memorial of Latin America and Auditorio Manuel de Falla in Granada, Spain. Currently, Mandl holds conducting posts as Conductor of the Chamber Ensemble at Wisconsin Lutheran College, Conductor of the Elm City ChamberFest Chamber Orchestra, guest conductor with the Paraiba Symphony Orchestra, Brazil. Recent engagements include Milwaukee Musaik, Kenosha Symphony, Lake Geneva Symphony, Timothy Dwight Chamber Orchestra, UFPB Chamber Orchestra and the Eleazar de Carvalho Festival Faculty Orchestra, among others. In 2004, Mandl conducted the South American premiere of Ezra Laderman's Nonete. Prior conducting engagements include Music Director/Conductor posts with the Carroll University Chamber Orchestra (2014-2017), the Lakeshore Youth Philharmonic (2006-2016), ﻿the Cardinal Stritch University Chamber Orchestra (2003-2005), and the Hopkins Chamber Ensemble (1997-2003). As a soloist and orchestra musician, he has collaborated with notable conductors, such as Eleazar de Carvalho, Gunther Herbig, Claudio Santoro, Lawrence Leighton Smith, Robert Shaw, Juan Pablo Izquierdo, Sidney Harth, and Krzysztof Penderecki, among others. Most recently, Mandl has appeared as soloist with the Racine Symphony Orchestra, Kenosha Symphony Orchestra, Beloit-Janesville Symphony, University of Wisconsin-Madison Symphony, and Paraiba Symphony Orchestra. He is the Concertmaster of the Kenosha Symphony Orchestra, Concertmaster of the Racine Symphony Orchestra, Assistant Concertmaster of the Milwaukee Chamber Orchestra/Milwaukee Musaik, and artist at the Sunflower Music Festival. A dedicated and passionate chamber musician, Mandl has collaborated with eminent artists, such as Yo-Yo Ma, Jian Wang, Humberto Lucarelli, Erick Friedman, Sidney Harth, Nai-Yuan Hu, Aldo Parisot, Frank Morelli, João Carlos Martins, Amit Peled and Todd Levy. He is a founding member of the Philomusica Quartet, Yale Piano Trio, and Quintessence Piano Quintet, which performs in the Dame Myra Hess Memorial Concert Series, with live broadcast on WFMT, Chicago. Mandl has partaken in myriad projects throughout his career. Along with famed cellist Jian Wang, he participated in the famous Duke Ellington Concert Series performing throughout Northeastern United States along with the Mitchell-Ruff Duo. In 2002, he recorded for CD Baby's Heavenly Lullabies dedicated to the orphans of 9/11, produced in New York City. That same year, he recorded J.S. Bach's E major concerto with the UFPB Chamber Orchestra (Brazil) under the direction of maestro Sidney Harth. Mandl also appeared frequently as a featured guest at the Ted Sawyer program of WQED, Pittsburgh. A graduate of Carnegie Mellon University (B.F.A. ), Yale University (M.M. and A.D.), and the University of Wisconsin (D.M.A. ), Dr. Mandl has won several significant competitions as well as numerous honors and prizes, including the Andrew Carnegie Tradition Award, the Yale Alumni Award, the Milles Prize and the prestigious Ivan Galamian Award. Dr. Mandl serves on the violin faculties of the University of Wisconsin-Parkside, Wisconsin Lutheran College and the Wisconsin Conservatory of Music where the Philomusica String Quartet is resident. Mandl frequently serves as adjudicator at competitions, faculty at festivals, and clinician at workshops. 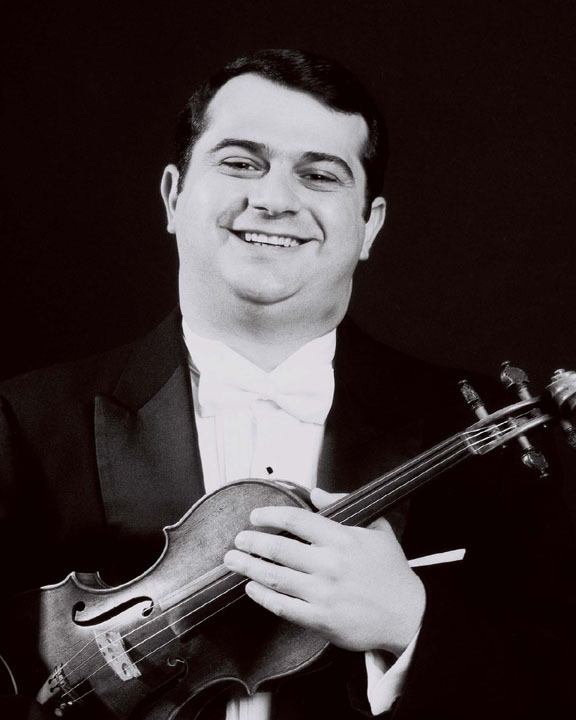 His primary violin teachers were Sidney Harth, Erick Friedman, Vartan Manoogian, Robert McDuffie, and Erich Lehninger. He received conducting instruction from maestros Eleazar de Carvalho, David Stern, David Becker and James Smith. Major chamber music influences have been the Tokyo Quartet, Aldo Parisot, Peter Frankl and Felix Galamir. He performs on a Guarnerius violin from 1705 and has recently edited Leopoldo Miguez's Violin Sonata Op. 14. Please check Sascha Mandl's upcoming concert engagements!